There are few individuals in the world of dance music who can claim the kind of influence Pete Tong has had over the last twenty years. As the voice of Radio 1’s prestigious dance programming, Pete has held a commanding presence over the industry for more than two decades. With an unparalleled ear for new talent, Tong has become the leading tastemaker of the electronic generation. While he’s known publicly as Pete Tong the DJ, behind the scenes, he’s an industry icon. When all is said and done, one shudders to think what dance music would have been like without Pete Tong’s influence. Over the years, he’s played a crucial role in breaking new artists and changing the way people think about electronic music. With his new found home in Los Angeles, the British icon is looking to revolutionize the perception of dance music world wide. If there’s anyone up for the task, it’s Pete Tong! 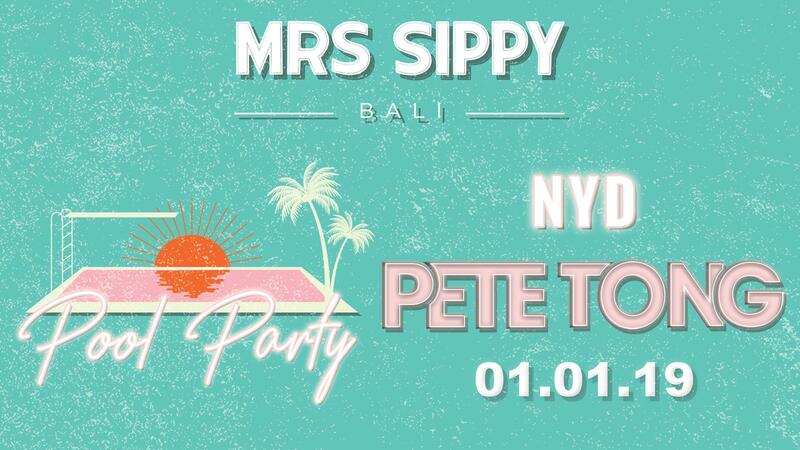 Pete will be bringing in the New Year in Bali's favourite way, Mrs Sippy Bali's NYD Pool Party. Be party prepped - arrange a daybed before its too late!